Welcome to Fuller Optical, LLC, where the one-on-one attention we give each patient sets us apart from others in the field. 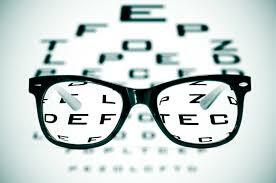 For over thirty years we have been serving the Cullman area with the highest level of eyecare. Your eye health is of great importance to us! We provide routine eye exams, screening for glaucoma and cataracts, LASIK consultations, and CRT (the LASIK alternative). At Fuller Optical, LLC, we are more than happy to assist all of our patients, from young children to seasoned adults, and make sure that our patients are treated like family. From the time you walk through our doors until your visit is over, our dedicated staff will help you with all of your eyecare needs including choosing the correct frames and lenses to suit your eyewear needs. We have specially trained staff who are committed to serving you and your entire family.For your convenience we accept many types of vision insurance. We are also pleased to announce that we accept Care Credit, North America's leading patient payment program. CareCredit is the credit card exclusively for healthcare services. You will get low monthly payment plans for healthcare procedures not commonly covered by insurance, including LASIK and Premium-IOLs. If you do not currently have a Care Credit account, please ask us about applying for this service. ﻿At Fuller Optical, LLC, Dr. Fuller and his staff are ready to meet you and help you with your eyecare needs!